A surprise bestseller when first published in 1987, this groundbreaking work explains the ideas behind the Core Knowledge movement. To be able to function in contemporary society, one must possess the background knowledge that literate writers and speakers assume their audiences already share. Those who know it are culturally literate; the opportunities of a free society are open to them. Schools need to impart a coherent core of knowledge in order to prepare students to thrive in the modern world. 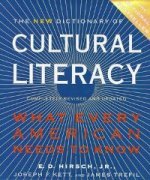 As a starting point for defining what literate Americans know, the book includes a list of about 5,000 essential names, phrases, dates, and concepts, intended to illustrate the shared knowledge needed for effective communication. 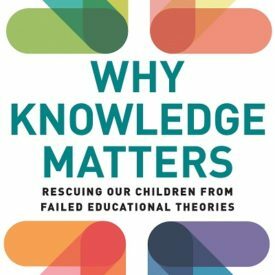 A surprise bestseller when first published in 1987, this groundbreaking work explains the ideas behind the Core Knowledge movement. 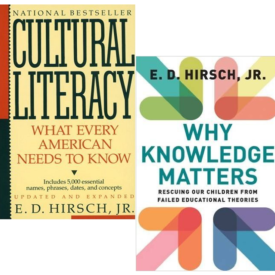 “To be culturally literate,” says E. D. Hirsch, Jr., “is to possess the basic information needed to thrive in the modern world.” To be able to function in contemporary society, one must possess the background knowledge that literate writers and speakers assume their audiences already share. 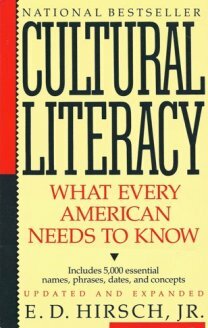 Those who know it are culturally literate; the opportunities of a free society are open to them. 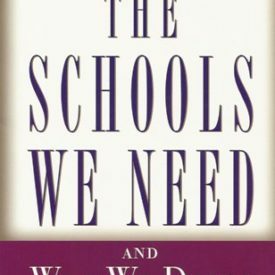 Schools need to impart a coherent core of knowledge in order to prepare students to thrive in the modern world.